One Friday afternoon, the Chief Executive of a large local authority in the UK decided he would take a wander around the building to ‘meet the troops’. He knew things had been tough recently thanks to central government cuts to funding and the need to reduce the workforce quite considerably recently. He had been trapped in his office dealing with all those things for some time and wanted to show his appreciation to the councils’ employees but in an informal manner – what best than to get out and simply meet the staff and see how things were going and to hear how they were coping. He went into the first office, a large room for a section of 30 people. Little did he realise that the minute he stepped into that room he would inadvertently start a chain reaction that would fundamentally impact on the organisations culture, the behaviours of its people and undermine the time, effort and money that had been invested in making his organisation more agile in the way they work – a programme that had been implemented to help the council meet customer needs more effectively, deliver services more efficiently and would improve the work-life balance of many employees. When he entered the room there was only 3 people in it. The business support typist and 2 section managers. He had a brief chat with them, went back to his office and simply commented to his fellow board member, the Director of that team, that he had gone for a ‘walkabout’ and came across only 3 people from that rather large section – where was everybody else on this Friday afternoon? A UGR can best be described as people perception of ‘this is the way we do things around here’ and in all organisations, corporate culture is made up of hundreds of positive and negative UGRs that drive peoples’ behaviour that significantly impacts on the performance, strategies and plans for organisations. They exist everywhere yet are seldom talked about. The UGR that was created from the chain reaction to the Chief Executives Friday afternoon walkabout, fundamentally changed agile working for the whole organisation. Agility and flexibility vanished as line managers began to insist that a percentage of the workforce had to be in the office at any given time, regardless of what was best for service delivery or the individuals. The message to the staff was simple – we have to be able to see you so we know things are being done. Management by ‘presenteeism’ is the fundamental flaw in organisations where agile working is not successful. In essence, an environment of trust does not exist at all levels of the hierarchy and a culture that does not empower staff to work independently and imaginatively for the benefit of customers prevails. In organisations today, there are potentially a mix of 4 generations that make up the workforce. Some individuals have worked their entire career with aspirations of getting to the ‘large bosses office’ whilst others at the other end of the spectrum cannot see the need for a physical desk at all let alone a fixed building to work from. Each individual will bring their own attitudes to the workplace and it is their contribution to the culture – or their influence on and perception of the unwritten ground rules that will ultimately drive behaviour. Corporate culture is the lynchpin for success or failure in every organisation. 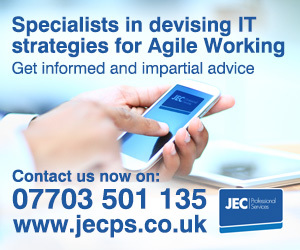 The success of agile working initiatives do not purely rest with office space, technology, processes or HR policies. Ultimately its people behaviour and attitudes that will have the most impact – and whilst the workspace design, technology, processes and policies will help shape the culture it is the action of those that influence others that is key. What are your organisations unwritten ground rules? Are they all positive or are there some negatives? How are they driving behaviours and what is the impact of those behaviours on your agile working aspirations? Understand your UGRs and you understand your culture. If you understand your culture then you can manage it and not become a victim of it. Richie Maddock is a “friend of Agile”, founder and Director of Lynchpin & Associates – the only UK/Europe based practitioners of the UGRs® concept. PreviousPrevious post:Spaceless Growth – hidden opportunityNextNext post:Agile Working: Need a Critical Friend ?